Jason is better now. 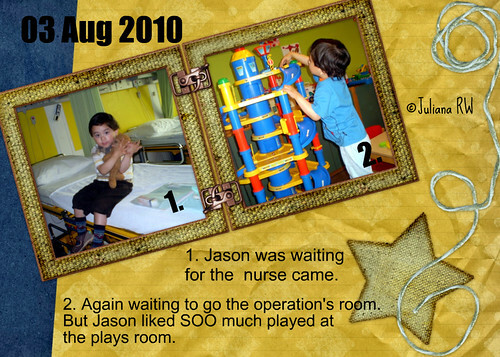 He is play and eat just normal before surgery. The operation went well. 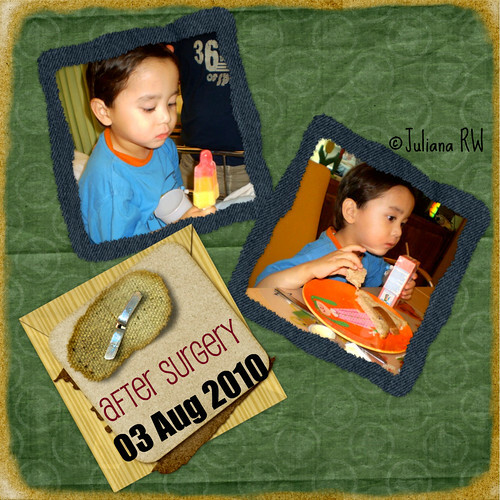 He didn't cry when he entered operation's room but he cried when he woke up. These are photos that I took before and after surgery. 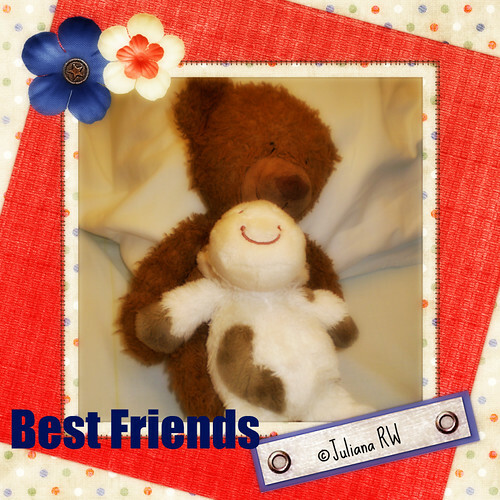 Looks his best friend, Bear, also accompany him in the hospital. He got two presents after the surgery. One from us and the other one is from aunt Jeanne. Thanks, aunt Jeanne. Oh, I'm glad to see that he looks fine. Hope he didn't feel too much pain after the medication wore off! LOVE the pics, Jul! Jul, what happened to Jason? I missed some of your posts. I hope he's doing better and better after the surgery. Take care.